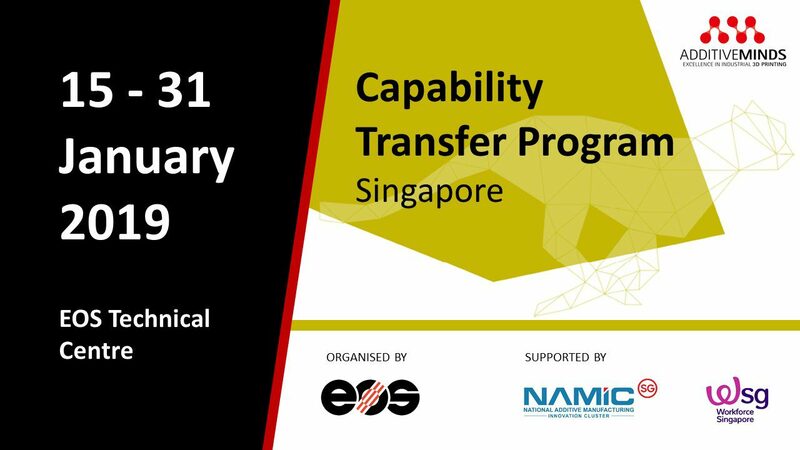 We invite you to attend a customised Additive Manufacturing Capability Transfer Program for the Singapore industry from 15 to 31 January 2019 at EOS Technical Centre. This workshop is organized by EOS Singapore through joint industry development initiative by the National Additive Manufacturing Innovative Cluster (NAMIC) and Workforce Singapore. Free offsite consulting will be provided to all participants on how to further develop their identified project.